Visual Management is a simple but highly effective way of establishing standards, in the form of visual aids, that will increase efficiency and create a united workforce. On this course, you will learn how to introduce basic but transformative changes that make it almost impossible for mistakes to occur. 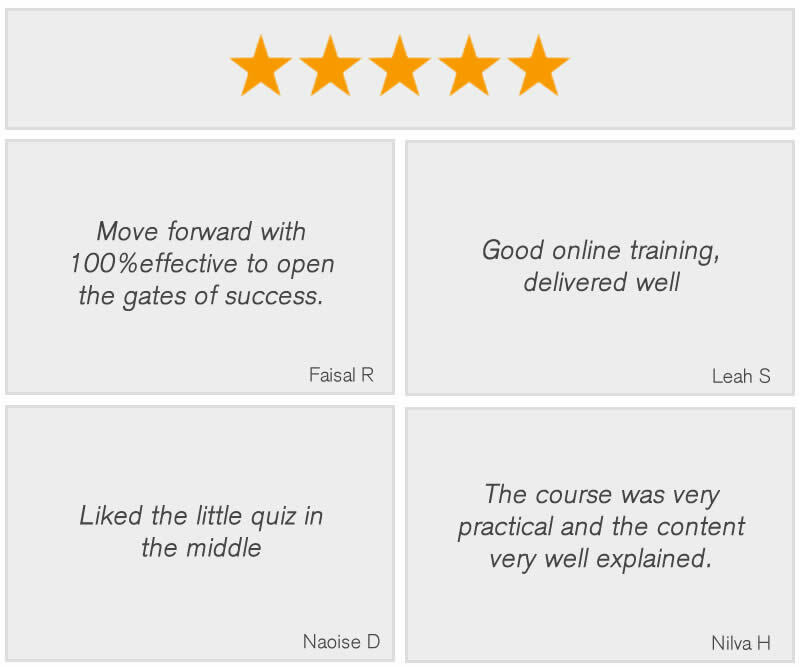 The course comes with 5 CPD points and lifetime support. On completion, you will understand how to identify the key benefits of this technique to your business. You will have also gained the skills to identify the various levels of the technique and to implement it successfully. On completion of the Visual Management course you will know how to standardise procedures and clearly communicate messages and instructions. Everyone will understand their function in a process and any issues will be quickly resolved. You will be able to make positive changes immediately, create a safe and efficient environment and be able to promote a culture of continuous improvement. Visual Management techniques can benefit any environment, from the workplace to the home. The course is therefore ideal for anyone interested in saving time and money as well as improving communication.